Tonight we went to see John's big screen debut. He was an extra in Coyote County Loser which was filmed here in Roswell. We tried to see it last Friday but it was sold out. 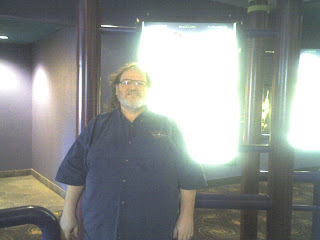 The pictures aren't the best but one is of John in front of the (lighted) movie poster. 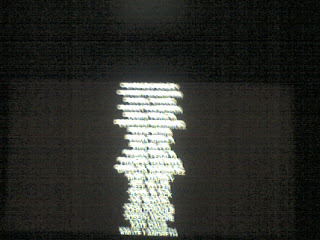 The other two are of the (scrolling) credits where his name appeared. I will add links and such. If you get a chance to see the movie John is wearing a white shirt with burgundy diamonds. 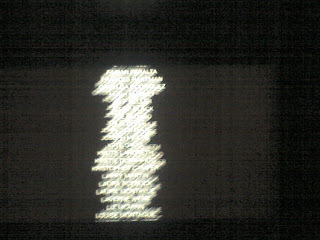 He is in the scene (near the end of the movie) where the winner of the contest is announced. There are a few face shots in the crowd. He has a full gray beard. Thanks for stopping by my blog(s). I appreciate you stopping by and leaving a comment.